Two meetings on either side of the weekend were host to very different reactions to a proposed deal between Lincoln City and the Confederated Tribes of Siletz Indians that would allow the Tribe to use water from Devils Lake to irrigate Chinook Winds Golf Resort. Lincoln City Council members unanimously agreed to a change of water source for the Chinook Winds Casino Resort Golf Course during Monday night’s council session that would provide water more conducive to growing grass on the greens, while reducing demand on the city’s water system during a peak time. Lincoln City Council has approved a move to spend $400,000 to safeguard water supply to a portion of Roads End on the understanding that City staff step up efforts to bring the neighborhood within the city limits as soon as possible. The money would be spent to create a bypass around a failing booster station that pumps water to 38 homes in an area of high ground around N.E. Port Drive. At Council’s Monday, May 24, meeting, several members expressed concern at the prospect of spending so much money on a project that serves customers outside the city limits and who contribute no property tax to City coffers. The City’s 25-year contract to provide water to Roads End expired in 2003 and has not been renewed. City workers discovered the spill eight days after someone passing the wooded area south of the SE 3rd Street reported a foul odor. Lila Bradley, the City’s public works director, said the spill was caused by a grease blockage in a sewer line about a mile south, at S.E. 19th Street, and that the backed-up sewage had diverted into a abandoned line that crosses the woodland. This article appeared in the News Guard reporting on the March 8th City Council meeting. As the article reports it is our understanding that the City Attorney must still draft the ordinance and that the DLWID will hold at least one public meeting on the matter once a draft ordinance is made available for review. 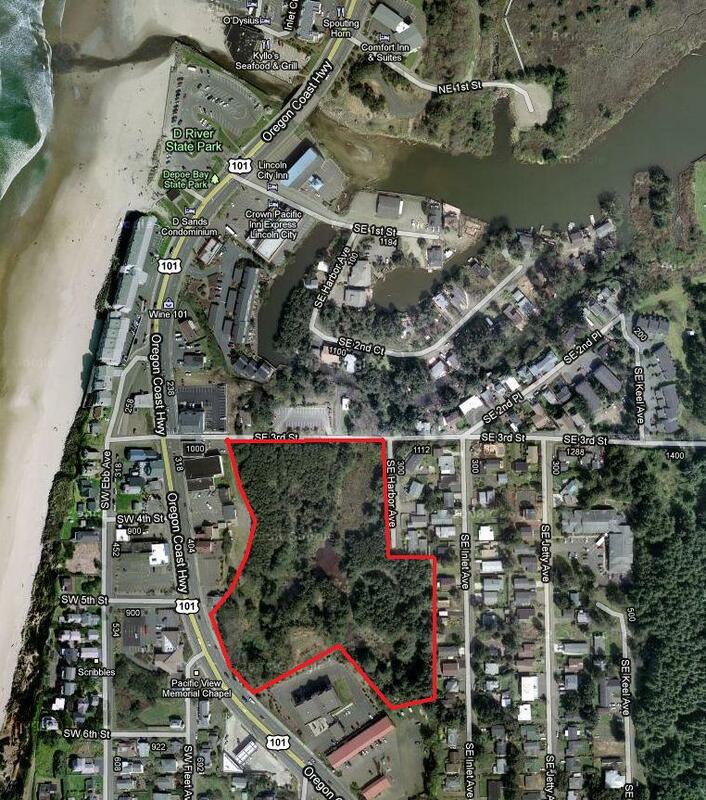 A septic system inspection program with water shut-off as the ultimate penalty for non-compliance is set to become law after Lincoln City Council approved the approach at its March 8 meeting. The program will require all 632 properties with septic systems within the Devils Lake watershed to have an inspection every 10 years. Properties whose systems are seen as being most at risk of failure, due to age or the type of tank used, will be top priorities for inspection. The City will contract with a private operator to do the inspections, with individual property owners footing the bill. Septic tanks will be pumped only if the inspector deems it beneficial to the system. We have recently added the capability of authoring a post on the go. With new software for an Android mobile phone we can update you on the fly. This is a great improvement over the previous mobile posting technique. The image in the post was taken on Loop Drive of a Advanced Treatment System. This ATS was installed in Neotsu last week to replace an undersized septic associated with a remodel. On Monday March 1st, DLWID and Lincoln City met to discuss differences between the district’s and the City’s ideas related to a septic inspection program. The group created a draft of compromises and the outcome was reported to be very productive. In attendance were: Mayor Lori Hollingsworth, DLWID Chair Brian Green, City Councilor Chester Noreikis, City Councilor Gary Ellingson, City Manager David Hawker, Lake Manager Paul Robertson, DLWID Intern Seth Lenaerts.